You can see how to use my monthly schedule HERE. And you can download an editable version of the information below HERE. Activity: I thought we'd get a jump start on our Easter Sacrament Meeting musical number since we know He Sent His Son and don't need to spend more than one week on it. It also coincides well with this month's theme. Easter falls on General Conference this year so our Easter Sacrament Meeting program will be the last week of March. More to come! Activity: Name that Primary Song about Love found HERE. For Senior, I may write each of the songs on a poster board (could be on the chalk board, but this will save time) or maybe even have it written as a musical page, with the notes, etc. but it will be missing all the "feeling" items. Then create some musical theory items (that are removable) to add to the poster to help give it feeling. Sister Pat Graham suggested fermatas, crescendo/decrescendo, p (for piano = soft), f (for forte = loud), mp, mf, slurs, breath marks, the suggested expression, tempo (I may bring in a metronome). For Junior, I think I'll do something similar but print all the musical theory items on a sheet of paper then tape to a paint stick so they are big. 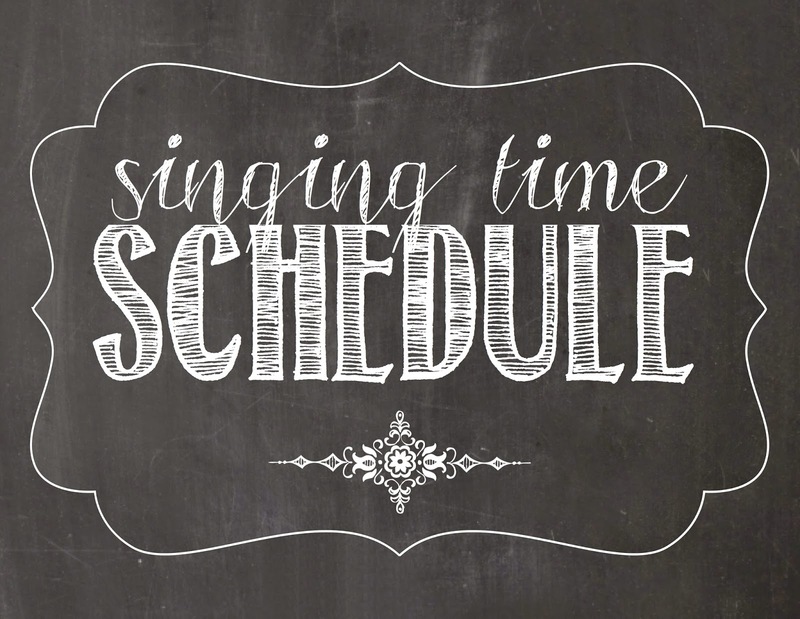 I'll talk about each item, then we'll sing and I'll hold up various sticks and they will need to immitate what I'm holding (the fermata, the "p" or the "f", etc.). They'd probably get a kick out of the metronome too! You can also browse through all my review activities HERE. Thank you! I use your schedules often. Saves me a great deal of time! You make a difference!